When visiting Milan there are a few stores I always love to visit, stores we do not have in Amsterdam like Muji, Rick Owens and Aesop! 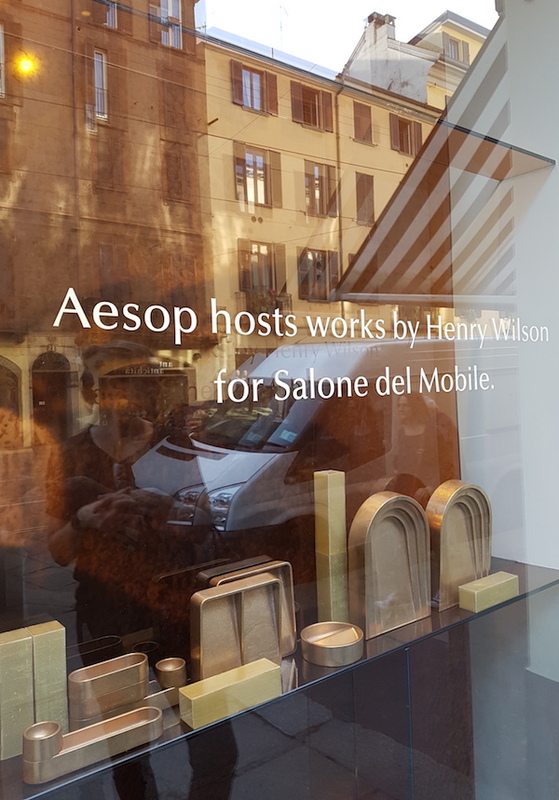 Remember I showed you the home of Vincenzo de Cotiis earlier this month: Palazzo Milanese from Vincenzo de Cotiis he has a great style and is also the designer of the first Italian Aesop store in the Brera district. A store dominated by concrete, grey and pale peach plaster features on walls and ceiling. Products are showed on asymmetrical product display shelves and the main piece is the beautiful counter with shiny surface. 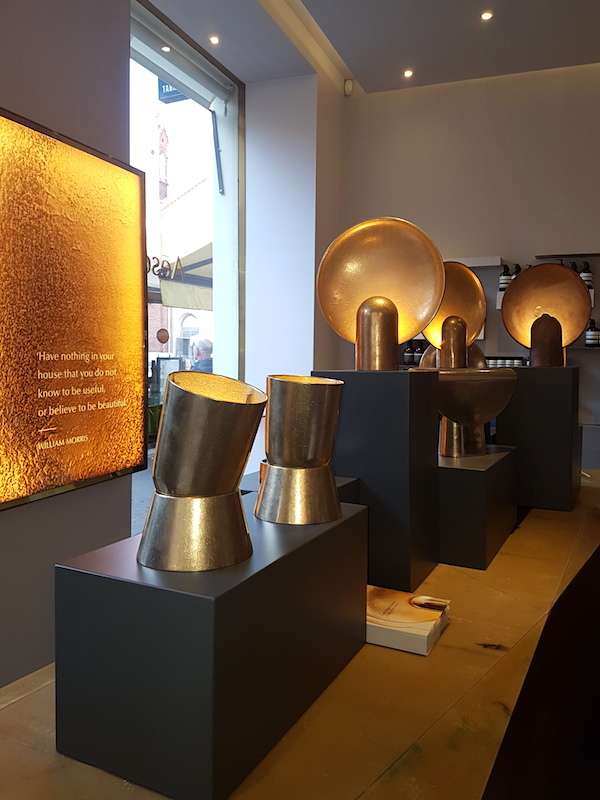 Henry Wilson's 'Cast Impressions' collection was on display at the store and it was love at first sight for me, I would have loved the budget to take the one shown in front of the picture home with me, truly amazing! 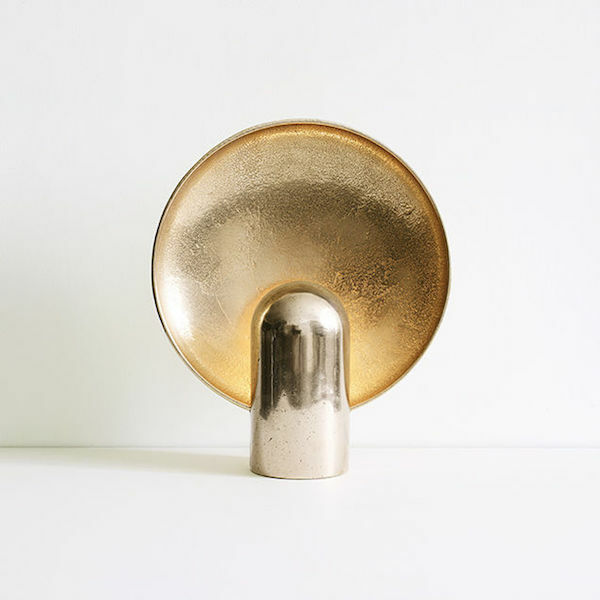 The 'Surface Sconce' is a ambient, sculptural light cast in two halves from solid gunmetal, manufactured in small batches. In the shopwindow more of Henry Wilsons gunmetal pieces was shown. Scroll down for the installation in the other Aesop store I visited. Totally different was the look of the other Aesop store, also located in Brera this store showed a window installation of water and light by Dutch artist Sabine Marcelis The all green interior is the result of a collaboration with Dimorestudio, a Milan-based design studio formed by the duo Emiliano Salci and Britt Moran, also creators of the Aesop store at Paris Saint-Sulpice. 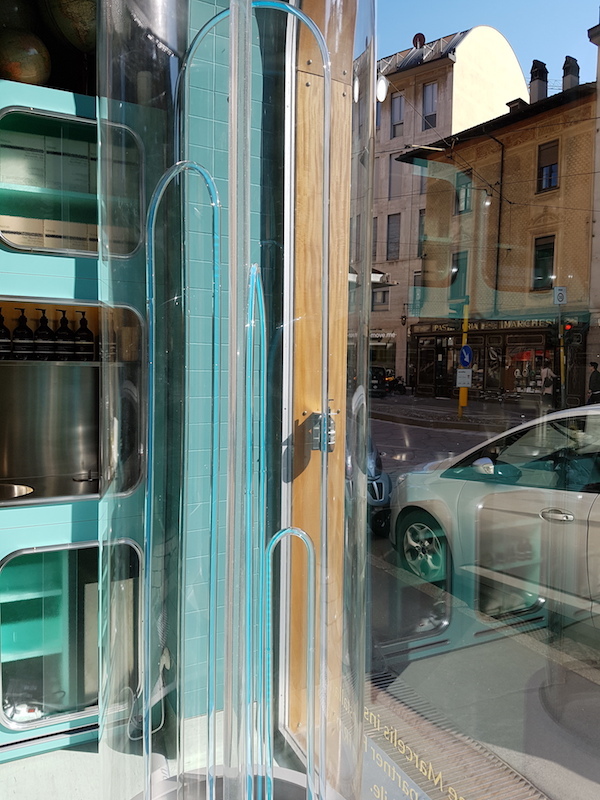 These pictures were made during Milan design week 2017, find all my posts on the blog under 'Milan design week' and have a look at this Milan design week Pinterest album for more pictures I made during the DDN Magazine tour and the fuorisalone.